Every potential thru hiker gets asked a lot of questions when they announce they are gonna go do something as crazy as the AT! I’d thought I would answer some questions for those who are looking to do a thru hike or a loved one who is going. These are the most asked and also favorite questions I get asked. How long does it take to do the whole thing? Typically 5-6 months. Obviously this depends person to person. I’ve talked with former thru hikers who hiked it in 4 months. I’ve also met with a wonderful lady in Tulsa who hiked it in 8 months. P.S. Her trail name was Slowpoke. It all depends on your body and how much time you spend in town. Do you carry six months worth of food with you?! I love this question just for the visual of carrying six months of trail mix and Mac and cheese! However thankfully to pioneer thru hikers, they have started free trade with the local bear population. We get the local healthy food in exchange for firearms for the bears. They after all have the right. Anyways, no. You stop in town every 2-5 days on average to resupply at a store or hostel. This is the not so fun topic of trip planning and adulting. Just like how long it takes, it varies person to person. I’ve heard extreme ends of the spectrum, from people making a vacation out of it and spending $10,000 – $15,000, to the bare $1,500. It all depends on how you live while you are out there. If you gorge out, spend money the nicest in town, buy the nicest cheese east of the Mississippi and go crazy when you hit civilization, then yes this is going to be an expensive extravaganza for you. As for me I’m going to try and find the in between modest amount. I know for me whenever I get into the hiker mindset, I don’t need the nicest of things. My mind just goes oh well whatever, who cares if I look homeless. I also know the importance of taking care of yourself at the same time, even mentally how much it matters to have a good shower and bed to have at the end of the night. For me I am estimating it’ll cost me around $3,500-$4,200. That’s after all my gear purchases. What about bears and other animals?! You are bringing a gun right? As someone who loves wildlife and bears especially and who was worked with them for years, I understand the dangers of them. 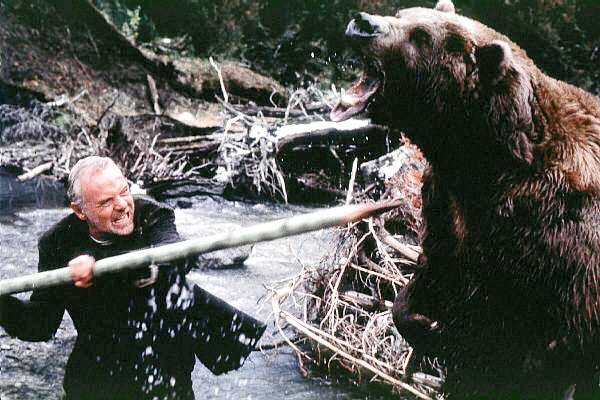 Now that being said, not all bears are like the one chasing Anthony Hopkins and Alec Baldwin in The Edge. The bears in the Appalachians are Black Bears. Very skittish, shy, yet curious all at the same time creatures. They really just want your food bags. Favorite story was of a hiker named Gordon Biggerstaff, when he walked upon a bear and he looked at it and said “Bear.” Bear looks at him and says “Not bear!” And runs away! Also thanks to the free trade with the bears, guns are not needed for them. Unless of course you are wanting to barter for food with them. Just be smart and educate yourself. It’s honestly not nearly as bad you think it’ll be. Have respect for the all animals you encounter and as the great Dwight Schrute said, don’t be an idiot. Whenever you’re about to do something, think ‘would an idiot do that?’ And if they would, DO NOT DO THAT THING. P.S. It’s illegal to carry a firearm through National Forests. It’s not worth bringing it. What are the best ways to help out a hiker? It might be cheesy and cliche, but love and support is the best things to help. Hikers like me that go out alone, well are alone! I’m pretty good at math, thank you Mr. Shirley. And even knowing you’re gonna meet people and everything, it is still daunting to know all you have is you and Jesus to go do this. It’s amazing what a kind word, reaching out and encouraging them can do. To show you support them on this will mean everything to them. Speaking with other hikers, it’s what’s kept them going on the hard days. Also money and FOOD, food is gold! That was pretty good . For newer hikers, it seems dangerous regarding water and where to find it. One can only carry so much. It definitely can be dangerous. If you don’t plan or ration your water correctly you can very well end up without water and not be close to a source anytime soon. When I go hiking on trails in Arkansas, I try to pay attention to maps and read upon how the water levels usually are. Keep an eye out for weather for the past week to see if it’s been dry or wet. I believe firearms are now allowed in the national forest. Other than that your article was good. Regarding firearms in National Forests or anywhere else. Check the laws before you make a statement. You, me, or anyone does a disservice to others when we tell someone what we think we know. National Park regulations for concealed carry are the same as the state you happen to be in when you are in the National Park. Anyway, it is the responsibility of the person carrying a gun to know and follow the laws when they carry a weapon. There are also laws regarding the size and type of knife you may be carrying. Be aware. My significant other is attempting a northbound through hike solo in 2018. He is planning on starting early February for work reasons. I am not sure if this is the proper place to post questions like this but I figured I would try. I am stoked for him because this has been his dream forever but I am also SUPER worried about the cold temperatures/ice and lack of other people on the trail starting that early in the season. Any advice on safety tips starting that early? And also hiking solo? Or just anything that will help me sleep at night and not think he is dead in the woods for five months. Thanks! Understandable being worried for him! Is he an experienced hiker or is this his first go? To put your mind at ease, there is still quite a few people on the trail that time of year (thru hikers are crazy). Come March he’ll see a ton of people! I hiked in the Georgia section in early March before, saw lots of people, which was one of my favorite parts of the experience. So I doubt he will be alone at all except during times through the day he will be alone. As soon as he stops to drink or eat about five people will pass him. He will make friends, find a group he clicks with make lifelong friends! So he won’t really hike alone, no one out there does it by themselves. Help him researching gear, food, etc.. It’ll make you more at ease about it. I would recommend getting great gear for the cold. Invest in solid gear, it’ll cost a little more but he will be more comfortable and way less likely to get hurt or want to quit on his dream. Ice for me wasn’t to big off an issue, hiking poles took care of that pretty good. Most people quit because of the mental aspect of the trail, it’s really difficult. Help and encourage him the best you can! Don’t let him comeback unless there’s a valid reason. Be at ease, it’s not as dangerous as what you think. The hardest part is just being away personally. Good luck to him! Thank you for your response! You put my mind at ease. He is a first timer to be honest with you. We have backpacked maybe two weekends. His gear is fantastic though we researched a ton to compile it all and warmth was at the top of my list. Thanks again for all of the advice! Keep your fingers crossed for us.